Today’s Datanauts episode offers travel advice for IT pros who spend a lot of time on the road. Our three guests have logged millions of miles for work. They share tips on getting from A to B smoothly, offer packing hints for clothes and equipment, give advice on maximizing travel programs, and tout their favorite travel gear. Today’s Datanauts examines the successful open source project dbatools to better understand its intent, how the project is operated, and how folks collaborate across a wide spectrum to build something magnificent and open. Our guests are Chrissy LeMaire and Rob Sewell. On today’s Datanauts podcast we assess the current state of the PCI-DSS compliance standard and its impact on your infrastructure and security operations. Our guest is Paul Snyder, an IT Risk Consultant for a large insurance agency. In our final Datanauts episode for this year, we review how the show did over 2018, talk a little about how the show comes together, and finish with our 2019 predictions done Mad Libs-style. Today’s Datanauts episode, sponsored by HPE and Intel, explores how HPE helps companies unify their silos and build a modern IT infrastructure. Our guest is Garth Reid, Senior Strategist – Enterprise Portfolio at HPE. What is metadata, and why should IT practitioners care? How is metadata stored? What impact does metadata have on enterprise IT storage? We answer these questions and more on today’s Datanauts podcast with guest Karen Lopez. Today on the Datanauts we examine why people stretch clusters, the problems this can cause, and alternative design strategies. Our guest is Erik Ableson, owner of the consultancy Infrageeks. The Datanauts get an inside view of IT training and certification with guest Brett Guarino, who helps design and teach instructional courses for VMware Education. Advancing your IT career means getting outside your comfort zone. The Datanauts and guest Ken Nalbone talk about overcoming tech inertia, taking technology and career risks, and why it’s essential to go out into the real world and interact with people, even when you’re an introvert. The Datanauts dive into Microsoft’s Azure DevOps, a suite of online tools to help developers make DevOps a reality. Our guest and guide is Nathaniel Avery, a solutions architect. Chris Wahl and guests dive into the latest announcements about Azure and Azure Stack, including the Data Box storage device, new networking features, and more. This Datanauts episode was recorded live at Microsoft Ignite 2018. On today’s Datanauts podcast, we break down what it takes to build out a private cloud on your premises. Our guest is Rita Younger, National Practice Lead SDDC / SDN and Technical Innovation Group at CDW. 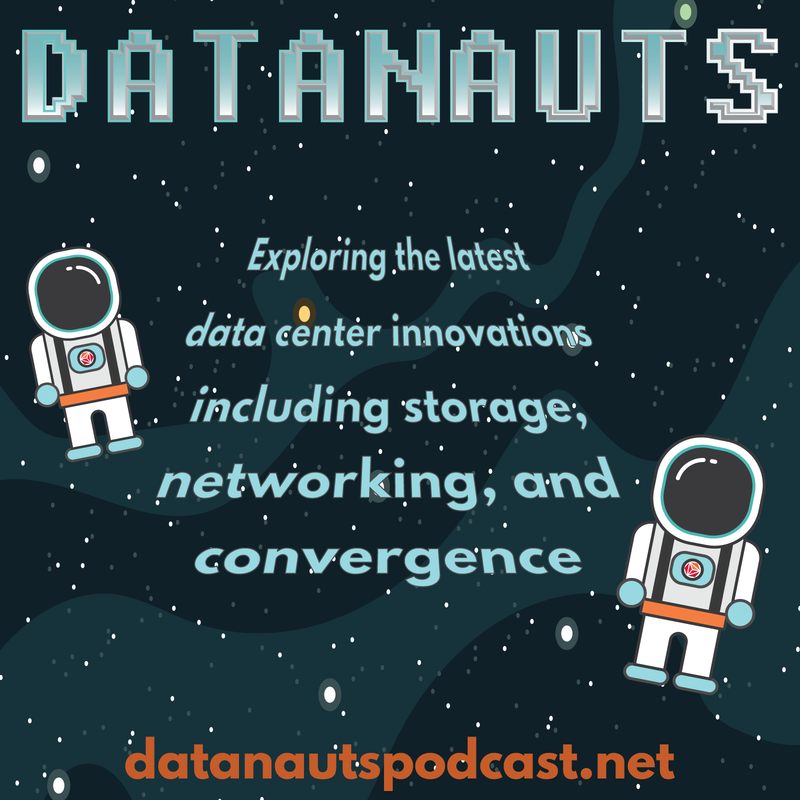 In this Datanauts podcast, we get a fresh perspective on designing and deploying VDI in the enterprise. Most of the conversation is based on VDI Design Guide, a new book from our guest Johan van Amersfoort. The Datanauts explore Envoy (an application-level proxy) and Istio (management software or the control plane for service meshes), key open-source projects for microservices architectures. Our guest is Christian Posta, Chief Architect, Cloud Application Development at Red Hat. This Datanauts podcast episode dives into the realities of dealing with work stress, especially when trying to embrace time off and unplugging from work. Our guest is Eric Shanks. The Datanauts and guest Sean Massey explore the ins and outs of End User Compute (EUC) and VDI, including use cases, the end user perspective, and EUC/VDI’s impact on the data center.